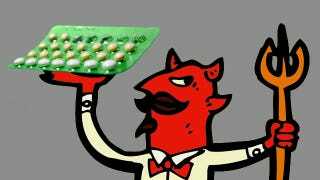 How Evil Is Your Birth Control Manufacturer? Yaz and Yasmin manufacturer Bayer is under fire yet again, this time for withholding key data about blood clot risks from the FDA. We decided to see how Bayer stacked up against other manufacturers where evil is concerned. Evil activities: Warner Chilcott was sued in connection with its IPO in 2006, but in general I was not able to find much evidence of evil. However, Urban Dictionary does define "Warner Chilcott" as "To commit an act of unspeakable evil and uncalled for malice, just because you can" — so maybe there's something I'm missing.